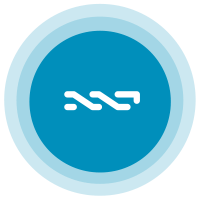 Nxt (NXT) operates on its own blockchain. The total supply of Nxt that will ever be issued is 999.00 Million coins, and the current supply of NXT in circulation is 999.00 Million coins. Current Nxt price is $ 0.0312 moved down to -3.19% for the last 24 hours. All time high (ATH) price of Nxt reached $ 2.08 on 23rd Dec 2017 and fallen -98.5% from it. Nxt's share of the entire cryptocurrency market is 0.02% with the market capitalization of $ 31.19 Million. Nxt’s 24 trading volume is $ 660.59 Thousand. It is trading on 17 markets and 9 Exchanges . Find more details about Nxt cryptocurrency at the official website and on the block explorer. Nxt price Index provides the latest NXT price in US Dollars, BTC and ETH using an average from the world's leading crypto exchanges. The Nxt to USD chart is designed for users to instantly see the changes that occur on the market and predicts what will come next. NXT is the digital currency that acts as the fuel for the Nxt ecosystem. In addition to it being used as a transaction fee when transferring NXT from one user to another, it is also used to create assets that can represent things like bonds or ownership of a project, create a decentralized poll on the blockchain, or storing arbitrary data on the blockchain. Of course, it can also be used as an external currency, in the same way that you can spend Bitcoins or dollars to buy goods and services.